It looks like super-producer Greg Berlanti is adding a show to his already overflowing stable of series on The CW. Berlanti is creator/executive producer of the CW’s entire superhero slate (Arrow, Flash, Supergirl and Legends of Tomorrow) as well as Riverdale, the new drama loosely based on the Archie comics. 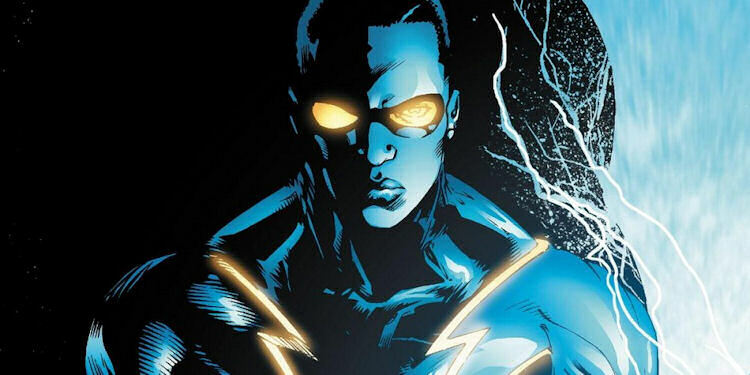 In recent months, he’s been shopping a series around the character Black Lightning. According to a Deadline report from this week, FOX is at its limit with comic-book based TV in Gotham and Lucifer, so The CW is ordering the pilot for Black Lightning, executive produced by Berlanti, with the spousal team of Mara Brock Akil and Salim Akil as showrunners. If taken to series, Black Lightning would be only the second superhero series led by a person of color (Netflix’s Luke Cage is the first). Diversity is a hallmark of of Berlanti-produced superhero series, as he’s thumbed his nose at comic canon by casting traditionally white characters with actors of African ancestry (Wally West, Jimmy Olson), addressed LGBTQ characters in a realistic way (Sara Lance, Alex Danvers) and isn’t afraid to wade in on the hot button topics of the day (the overall aliens on Earth arc on Supergirl is an allegory dealing with racism and immigration). Executives at The CW said earlier this TV season that they may have reached the saturation point with superhero programming on the network, which has led to some speculation how a Black Lightning series would fit into that puzzle. The entire slate of superhero shows are already picked up for next season because they are down the line, some of the highest rated shows on the network, so it’s doubtful any one of those would be going away anytime soon. However, stalwart series, Vampire Dairies is ending its run, and a few of the shows introduced this season aren’t likely to get a second, which leaves a few holes on The CW schedule for another diverse case of impossibly pretty people to fight crime in tight leather outfits. Next story Forget About the Big Super Bowl Upset; Netflix Just Teased Stranger Things Season 2!